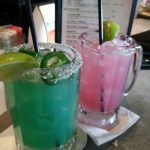 Ingredients Listed on Menu: Ultimate margarita – Cuervo gold, triple-citrus margarita mix of lemon, lime and orange flavors. Served with a fresh lime and orange. 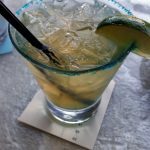 Review: The regular margarita tasted like cheap tequila and oranges. We actually didn’t even finish the entire drink (a first). Definitely not what you want when ordering a margarita. 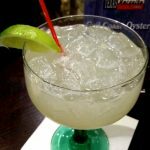 The Ultimate margarita is a much better choice. The flavors were more on with what you expect to taste. 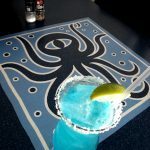 Stay away from the cheaper version and you can get an enjoyable margarita at TGI Fridays. We were told that in May, they run a promotion and offer many additional flavors of ritas and let you keep the glass.